THE WRITING BUDDHA - Opinions | Books | Movies: There's Something About You by Yashodhara Lal (Book Review-3.5*/5) !!! 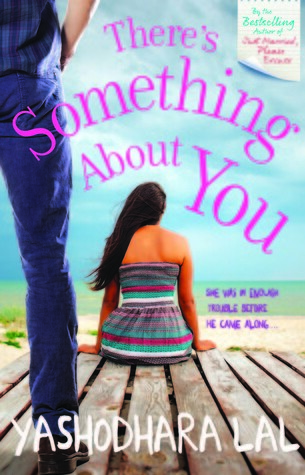 There's Something About You by Yashodhara Lal (Book Review-3.5*/5) !!! I always heard about first two books by Yashodhara Lal but never got a chance to read them. Finally, I got my hands on her latest and 3rd fictional book named "There's Something About You" which also carries a tagline "She was in enough trouble before he came along...". The cover page of the book is very interesting and unavoidable which definitely makes a reader pick it up and go through its synopsis once. The 256-pages story is a complete entertainer with different mood shifts which can make you as mad as the characters in the book. Not a single character is normal which makes the reader get lost in their world and forget his. Only when he shall get up after completing the novel, he will come to know about the crazy world he was in. That's how this book intrigues you in itself. Yashodhara Lal have written the book in a very fluid language which makes it easy for a reader to read it in one sitting. Right from the first chapter, the character of Trish is described so clearly that it generates interest to know more about her. The backdrop of her family situation is also maintained very well nicely and the way the secret is revealed in the end gives the book quite a fine ending. The chemistry of Sahil and Trish is also discussed periodically rather than making this book a complete romantic saga. The best part is how Trish handles Nivedita and Zee when she gets into a deal with them. That's the only part in this book which I'll support if I have to fight a debate in favor of it. Haha!